The winter season is usually considered to be one of the most exciting seasons because people look forward to the joy of the holidays that it brings. In addition to enjoying all the beautiful white blankets of snow as a winter favorite, it is also during this time of the year that people tend to spend more time with family and reflect upon the many things to be appreciative for in life. Indeed, the winter is a very fun-filled and high-spirited season, however, the winter is also the driest season and such cold weather can be extremely harsh on the skin—particularly the feet. 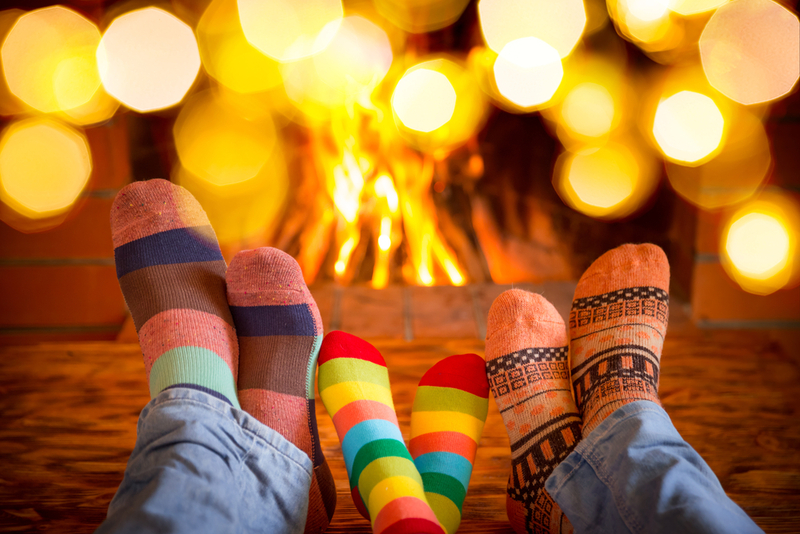 Wearing boots and thick socks throughout the winter can often cause the feet to sweat and having damp feet, especially during the winter, is something you want to avoid at all cost. Not only does having sweaty feet promote foot odor and cause your feet to become even colder, but the dampness contributes to breaking down the skin to enable bacteria to enter the skin and infection to set in. To prevent having sweaty feet, be sure to wear moisture-wicking socks that allow the evaporation of moisture and change your socks throughout the day when needed. Indeed, the soles of the feet consist of a thick layer of skin that can often make the feet appear and feel rough. Rather than having sweaty feet, which is bad, you do want to have soft and moisturized feet. To properly moisturize your feet, exfoliate your feet with either a foot scrub or pumice stone prior to applying a foot cream. Although it is highly recommended to moisturize your feet daily during the winter, exfoliation only needs to be done every so often. Occasionally soaking the feet in a foot bath is known to be a great contributor in the maintenance of healthy feet. With foot baths, Epsom salt (combination of magnesium and sulfate) is commonly used for its wonderful healing properties. In addition to its ability to relax muscles, eliminate odor, soothe dry skin, and heal foot fungus, Epsom salt also has the ability to alleviate inflammation, increase blood circulation, and flush out toxins in the skin. Foot baths are also considered to be a great hidradenitis suppurativa treatment for individuals diagnosed with the condition and are suffering from sore feet. To enjoy the healing properties of this ingredient, all you have to do is soak your feet in a bath of warm water and one cup of Epsom salt for about 20 minutes. Whether it is done by yourself or someone else, getting frequent foot massages has many benefits for foot health. For many people, the winter time tends to trigger stiff joints and arthritis flare-ups and in so saying, receiving foot massages will increase blood flow in the feet to reduce these symptoms. Nevertheless, foot massages just feel great and boost your mood in general. Essential oils have numerous healing benefits including their use as antiseptics, anti-fungal and odor-eliminating properties, and the ability to relieve muscle aches. There are a variety of essential oil scents to choose from including lavender, wintergreen, cedarwood, juniper, and rosemary. To use essential oils, apply a few drops in a bottle of water and mist over the feet or rub directly on the feet, allow your feet to dry, and go about your day. A lot of the ankle sprains, broken bones, and heel and toe pain that people suffer from throughout the winter can be attributed to injuries sustained from falls due to their wearing improper shoes for traction on the snow and ice. It is very critical to wear shoes that are suitable for wear in winter conditions to prevent injuring your feet. Magnesium, calcium, and potassium are great supplements to take to help reduce the foot cramping that is usually brought on by the harsh winter cold. By drinking plenty of water and taking these supplements, you will be helping to prevent dehydration, dry skin, and muscle aches. Certainly, foot health is a very critical component to overall health, yet many people tend to overlook foot health as being a priority in comparison to other health factors. The winter time is exciting, but the cold elements can be harsh on the joints and skin and as a result of this, the feet need extra attention and love during this time. This winter, take care of your feet and you will definitely reap the benefits and feel better about yourself. Why are Inversion Tables Good for You?